The interest rates at a dealer are comparable to other lenders in the community. It may be an option to make your monthly payments at the dealership itself for even more convenience. There are many different choices in vehicle make, model, age, amenities and price range at a dealer and the inventory changes almost daily. To get the best interest rate, even for car loans with defaulted credit, your credit profile may be shopped to other financial lenders. The dealer expects you to negotiate for the best rates, while banks typically only are able to offer fixed rate loans. Buying a car an financing it at the dealer is a flexible experience for both parties. Find a reliable dealer whom you can trust by seeking advice from relatives or friends who have recently purchased a pre-owned auto. Online reviews are another great source for dealer information. 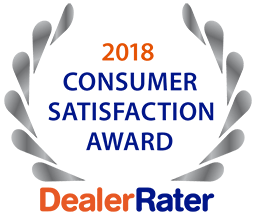 5 Star Auto Plaza is proud to be a leader in the area for a wide selection of used vehicles and financing that is attainable to all. Ask about your options for auto financing in St. Charles by calling us at (636)940-7600.